Fabian Cancellara will not start Wednesday’s Tour de France stage 11 in Besançon, having withdrawn from the race to focus on his preparation for the 2014 UCI Road World Championships in September. “I will travel home now and take a little break,” said Cancellara via his Trek Factory Racing team during Tuesday’s rest day. The four-time time trial world champion will look to be in peak form for to take a stab at this year’s time trial and road race titles in Ponferrada, Spain, over September 21-28. The 33-year-old Swiss rider’s withdrawal leaves Trek Factory Racing with six riders out of the original nine-man line-up after the previous withdrawal of Andy Schleck and Danny Van Poppel. Trek’s highest-ranked rider overall is currently Haimar Zubeldia, in 20th spot and 8-01 behind race leader Vincenzo Nibali (Astana). Cancellara was one of the pre-race favourites for victory on Tour’s stage five, featuring the cobbles of Paris-Roubaix – a race he has won on three occasions. However, his challenge never materialised and he finished fifth behind Lars Boom (Belkin). He followed this up with second place on stage nine. 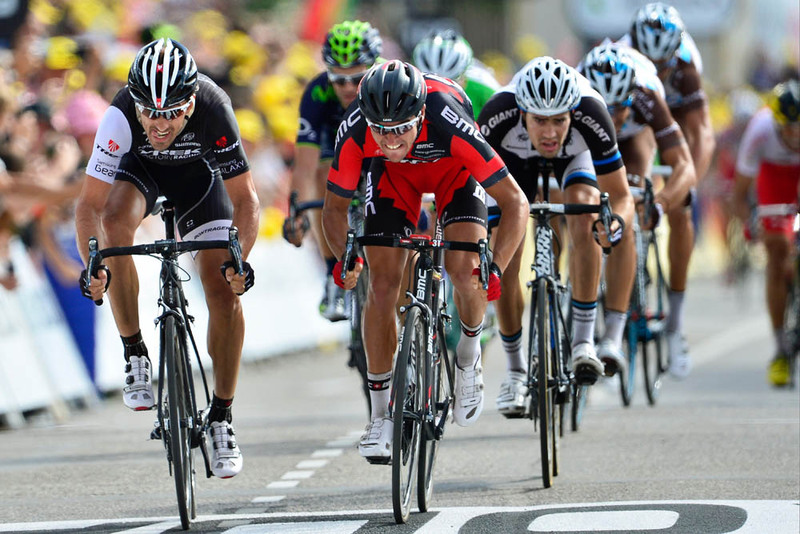 “It was not only about the cobblestones stage for me,” said Cancellara. “The course for this year’s Tour is very attractive for a rider of my profile, I liked it. There were many opportunities and with a little more luck, I could have gone home with a result in the pocket. Cancellara has also been linked with an attempt on the Hour Record, possibly after the world championships.